Easter is almost here and we are EXCITED to celebrate all things Spring with Family and Friends. 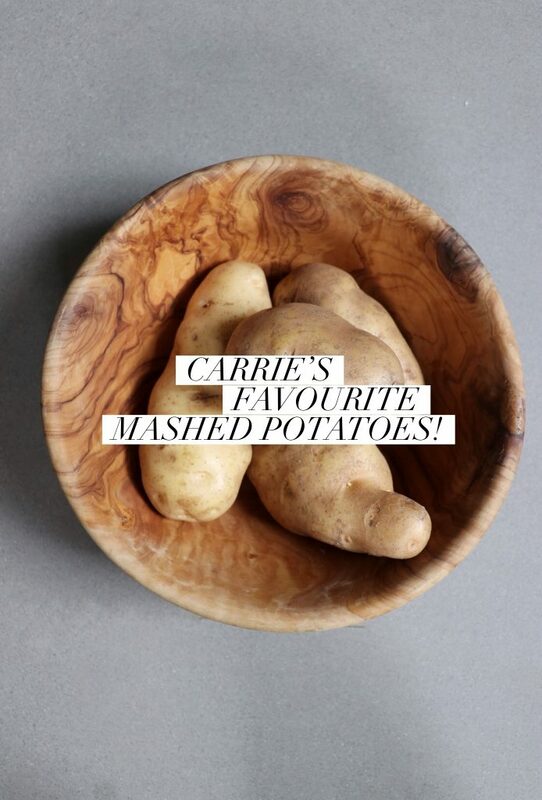 Carrie is sharing some of her favourite go-to recipes for Easter entertaining and her not-so-secret TIP to making restaurant worthy mashed potatoes. 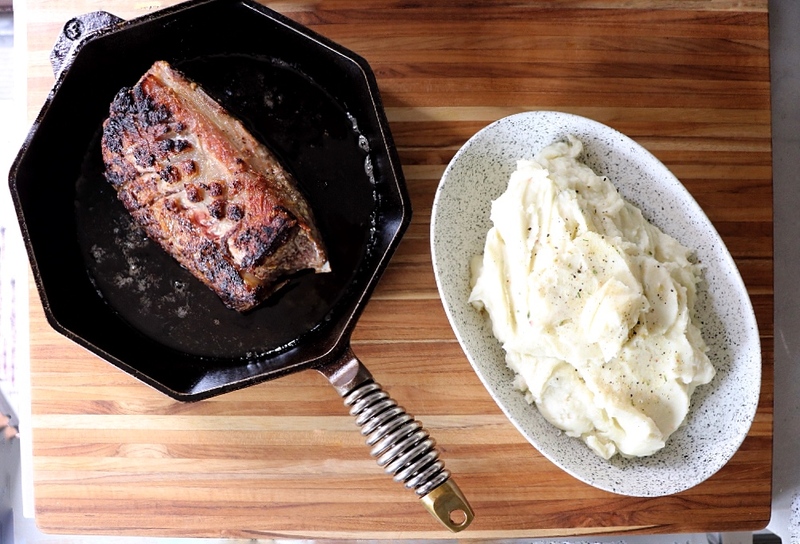 Trust us – you won’t do your mashed potatoes any other way after tasting these! 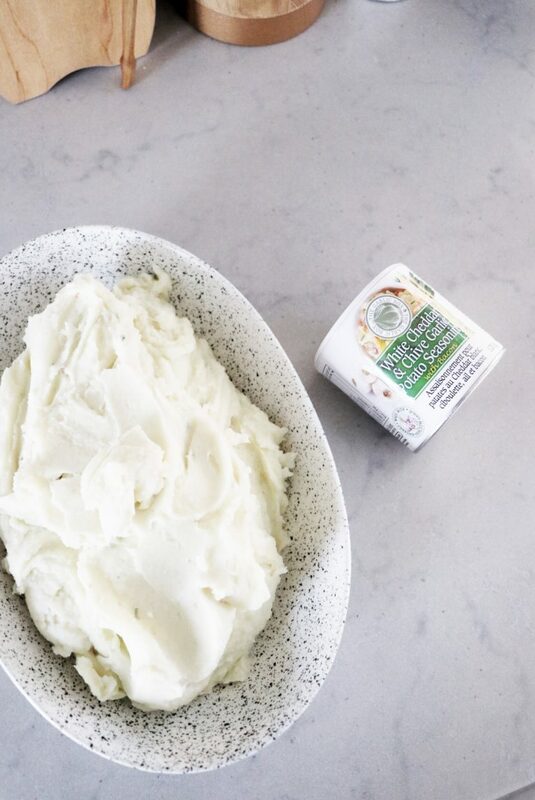 The secret tool used to get the creamiest no lump restaurant worthy mashed potatoes is the RICER – available in our kitchen department. The RICER tool forces cooked potato through small holes, resulting in rice-like pieces of potato – hence the name! And NO lumps! See our instagram stories to see this tool in action! Once your cooked potatoes are RICED, warm cream and butter on the stove, add riced potatoes and mix well with a silicone spatula. The riced potatoes and cream mixture will blend smooth. 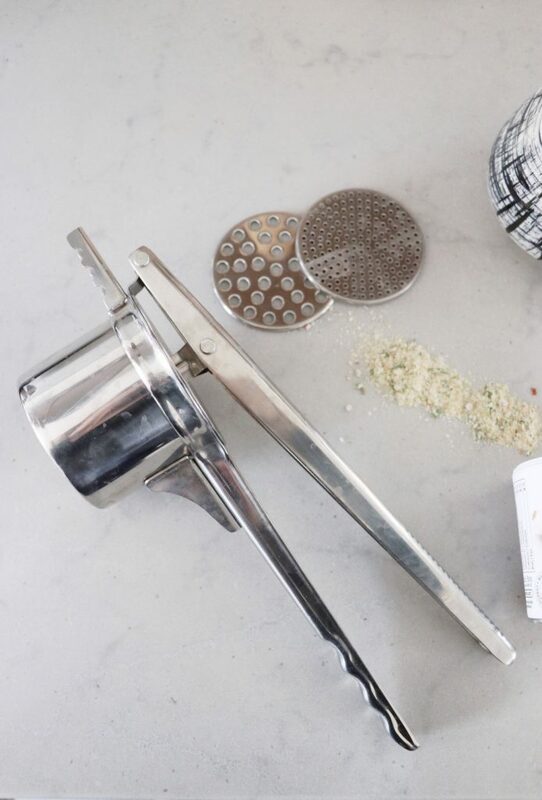 Then add our favourite The Garlic Box White Cheddar & Chive Garlic Potato Seasoning – available in our Gourmet Foods section in store. We promise you won’t be disappointed. 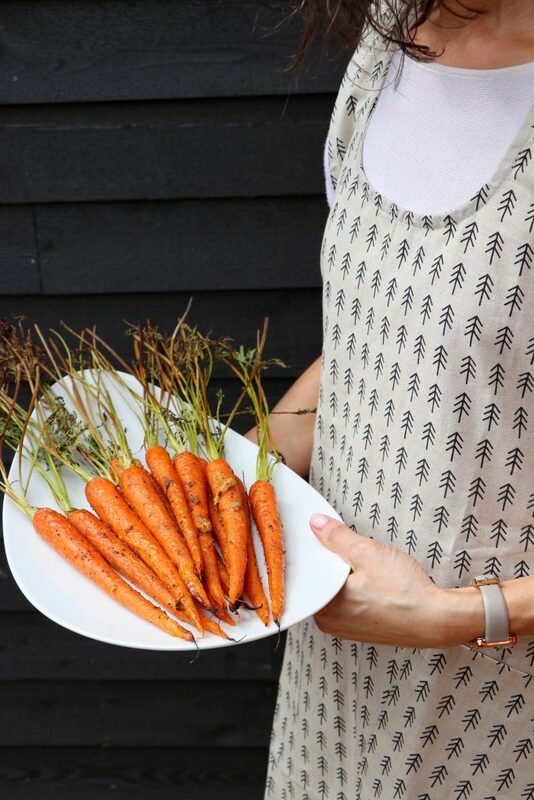 Carrie’s gourmet roasted carrot recipe is a super SIMPLE way to elevate your roasted carrots and have all your guests wanting the recipe! Mix well and rub over the carrots + roast.